Good morning! I don’t know about you but I am having a lazy Sunday morning. treat to walk among the lemon groves on such a pretty spring morning. 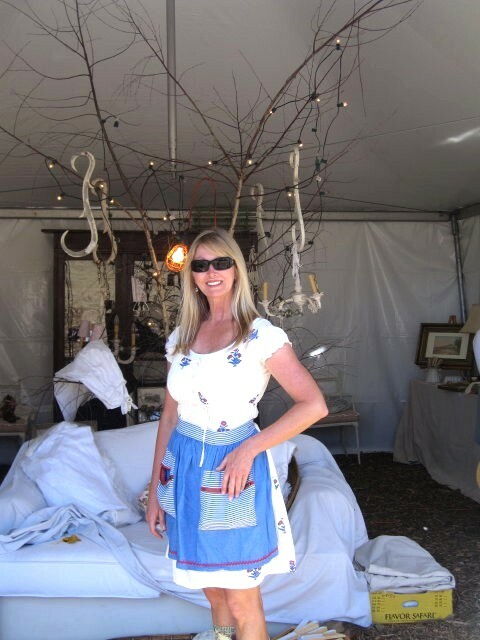 There were so many wonderful artists displaying their many talents and antiques..
around to every booth and enjoyed talking with everyone. and somehow, without me knowing, it had automatically changed all my settings. settings. My apologies for the fuzzy photos. hall near my bedroom. There is something about her art that is both beautiful and peaceful. I also had a lovely conversation with Shirley Castellanos from The Cottage In The Garden. designs are delicate and fabulous. 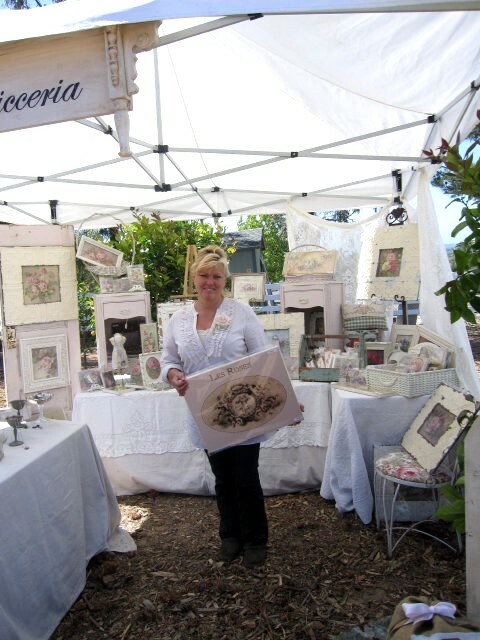 She has amazing creations of linens and laces. knowledgeable and so interesting to learn from. She is a wonderful designer. 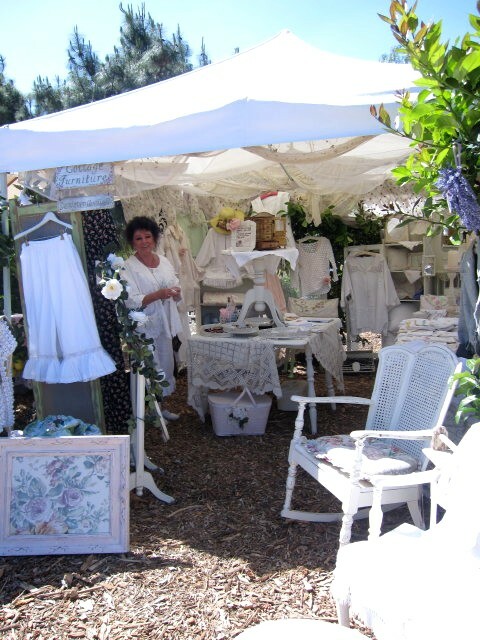 Pam from White Ironstone Cottage had her lovely "whites" on display. Charming! Her collection is wonderful. She and Gail are so much fun and very lovely and kind. They had so many interesting things to choose from. Gail has so much energy. turn pink quite quickly. I was fine, and so impressed with her thoughtfulness. to see quotes on unsuspecting places. And birdhouses that are absolutely charming. because it was a lovely way to spend a day. Again, I apologize for the fuzzy photos and will make it up to these beautiful girls next time. Thank you to all of them...we had a great time!